-Want to snap a picture of a fish while snorkeling and listening to Bob Marley? Waterproof electronics and accessories are the best invention ever. Now you can enjoy your digital cameras and MP3 players in the pool or ocean without worrying about ruining them. -Tired of swim up, pool, and beach bars serving you drinks in small plastic cups? Bring your own cups. Most resort bars allow guests to bring their own plastic cups and if you are unsure you can always call the hotel ahead of time and check. -Pesky bugs problems? They always bite up my legs while I'm away, which is one of the downsides to the types of locations I love to visit. I bring OFF. Make sure it is in a plastic bottle though, since cans can explode due to the pressure change in the airplane. -Towel Control Issues? One problem I always have is keeping my towel attached to my lounge chair. Problem solved with clothes pins. Just throw 4 per person in your carry on and you'll be set. - Traveling with liquid? Worried about airport security issues? Bypass the whole "liquid search" and pack all liquids in your checked bag. -Hate to fly? Not everyone enjoys flying and I am one of them. Since I refuse to let my fear of flying get in my way of seeing the world, I turn to my trusted friend NyQuil. I just pop two of them once I've boarded and it relaxes me and lets me enjoy an in-flight nap. *Bring a pillow (preferably a horseshoe shaped one) for your flight. You'll be glad you did. -Damaged hair? Although virtually all hotels provide you with toiletries and shower amenities, it is always best to bring your own hair and body care products from home. Especially if you have hair that is prone to damage. Since your vacation will consist of humid weather, salt water and sand there is a good chance your hair will need serious damage control and hotel shampoos and conditioners won't usually do the trick. So while vacation is a great time to try new things, shampoo and conditioner are not two of those things. -Unsure of your destination choice? Visit TripAdvisor.com and check out other people's reviews and advice on the resorts you are interested in to help you narrow down your choices. Plus, they post actual photos and videos of the resorts (meaning you get the real deal and not a bunch of airbrushed website photos). --Want cheap round trip airport service? Don't waste your money on a cab from the airport. Use the hotel's round trip service. Chances are it's cheaper, or included in your package anyway. Most people have this service in their pre-paid package but still pay for a cab because it will get them to their resort quicker. It's only a small time difference. Save the money and take the hotel's transportation. Even though you may have to make a couple stops at other resorts it is nice to be able to sight see and take a look at what the other hotels look like. - Want an easy (and FREE) way to add extra time to your trip? Don't over sleep! I know, it's vacation and that means enjoying some much needed R&R and we understand how on day two you may want to sleep in until noon to recover from yesterday's eventful day of travel, but don't do it! Make sure you wake up early so you get to enjoy the full days you pay for. If you feel tired then grab a floaty and lay in the pool or find a secluded area of the resort and take a cat nap in a hammock but DON'T get into the comfy bed. You'll sleep right through the day! -Want to actually enjoy the area you are visiting? Don't coupe yourself up in your resort the entire stay. Explore! Set aside some money and book some excursions/tours. You can research ahead of time and see what the best tours in the area are. Some resorts even offer discounts if you book through their tour desk. Palace Resort chain is offering a deal called Palace Passport (all of 2008 and all of 2009). If you visit their resorts in Mexico you get select tours for FREE. So, not only do you get the all-inclusive benefits of a gorgeous resort, but also the ability to explore Mexico. 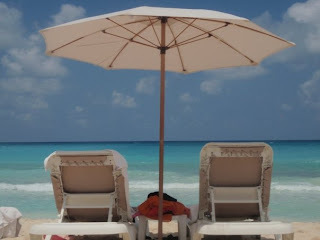 We enjoyed this option when we visited Sun Palace in Cancun. If you plan on visiting Mexico anytime soon, this is a great deal that shouldn't be missed! Let us know and we will book it for you at My Paradise Planner. -Want to get the most fun out of your trip? Get involved in the resort's scheduled activities. There are two things I regret when I return home from a vacation. One, not booking a longer vacation and two, not enjoying everything the resort has to offer. Most resorts have scheduled activities like volleyball or yoga, or even using the gym and spa. Take advantage of these things, especially if they are free or included in your vacation package. Sometimes the steam rooms or spa pools are available to guests even if they are not paying for spa treatment. The gyms and basketball and tennis courts have full equipment to use so you can but off those strawberry daiquiris. -Not happy with you room? Check for room upgrades. Sometimes if a hotel is not overbooked, or extremely under-booked, you can request an upgrade in your room category. Some hotels will upgrade you for free if they have the accommodations available, and others will give you a good discount on that categories room price. It's always a 50/50 shot and sometimes the option is not even available so if you want to secure a specific room category then I suggest you book it and not rely on a possible upgrade. 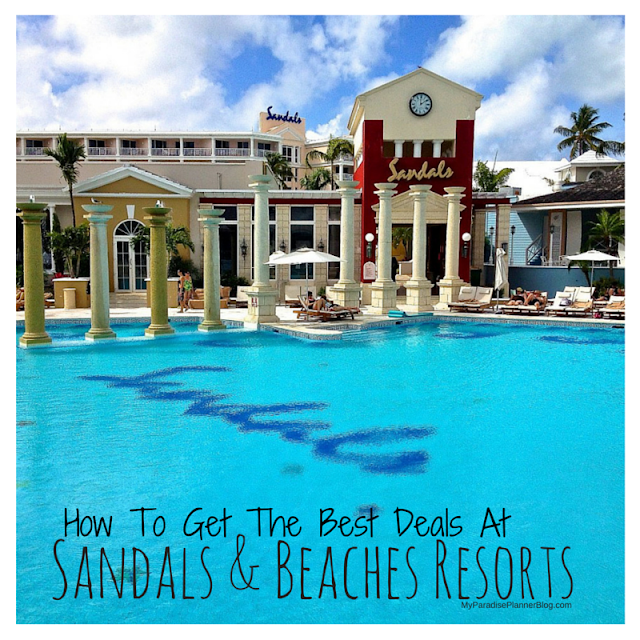 -What's so special about an all-inclusive resort? The key to these resorts is that you pay one price upfront and it includes your airfare, hotel room, round trip transportation between the hotel and airport, all meals and drinks and snacks (within your resort), activities, as well as tips, taxes and fee. This is a great option for people who don't want to carry a bunch of credit cards or traveler's check around in a foreign country. It is so much easier to know how much everything costs upfront and really keeps you from overspending. My favorite part of vacationing at an all-inclusive resort... not having to wait for your check when you are out to eat. I love ordering a great meal and then walking away from the table when I'm done. -To tip or not to tip? Most all-inclusive resorts have a strict "no tipping" policy which they enforce (like Sandals/Beaches). Other resorts have a more relaxed policy where tipping is appreciated but not necessary. Keep an eye on these policies because resorts with a strict one will not allow their staff to accept tips and if they are caught taking a tip they could lose their jobs. If your resort allows tipping but does not require it then use your discretion when tipping. I tip if an employee goes out of his or her way to provide me with excellent service then I will tip. For example, if the bartender remembers my name and favorite drink I'll give him a couple bucks during my stay, but if he remembers my name and favorite drink and has it waiting for me when I approach the bar then he will get a couple bucks a day. *Always bring singles for tipping. We generally carry at least $50 in singles and fives. REMEMBER: Always tip your porters at the airport (for luggage) and any drivers! They do not get paid by your resort and many of them survive off of tips. Plus, a couple of dollars to you is worth much more to some people in other countries.